A worn ladder-back chair covered in a simple slipcover provides pretty seating at the desk. The sheers in my room are hand-me-downs from my sister. 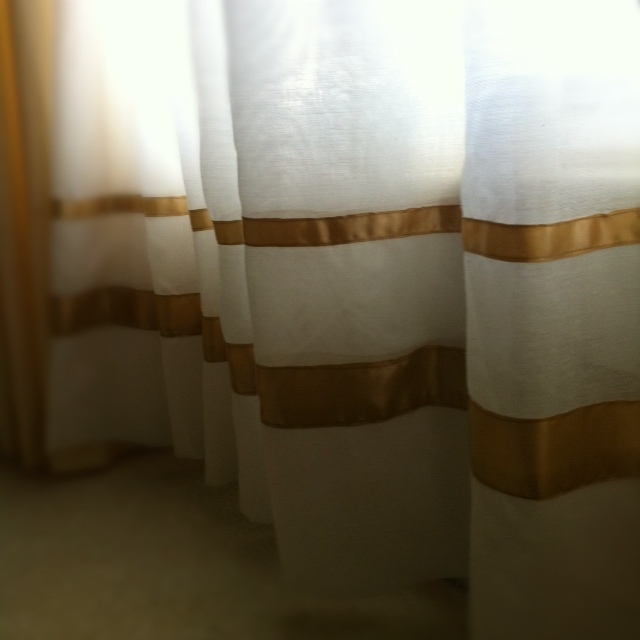 I stitched a double band of soft gold ribbon near the hem to dress them up for their new post at my windows. Monograms make such a classic statement of family and style. I had a favorite local monogram shop embroider ours on the bed canopy. Canopy fabric and ribbon trim, Joann Fabrics. Slip Cover Fabric, Hobby Lobby. 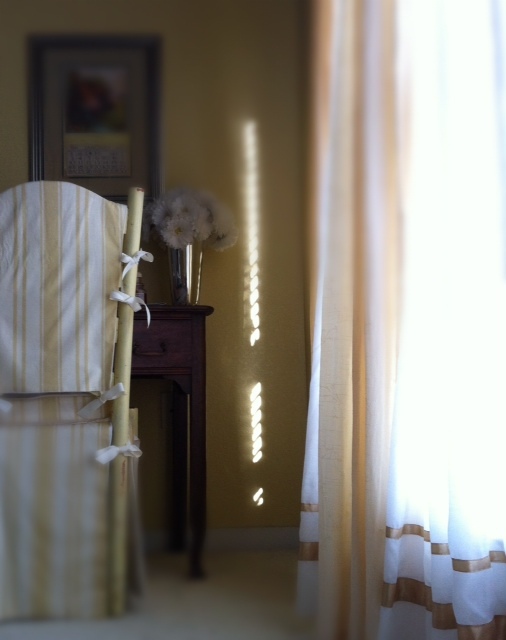 What special touches have you added to the rooms of your home? I'd love to see pictures! I'm sure they're a warm expression of your personality.